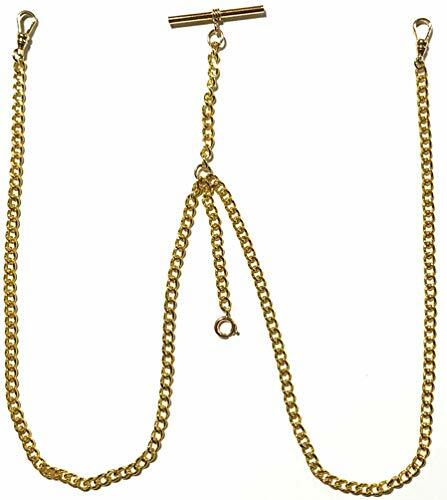 Gorgeous 14K Gold Filled Double Albert Watch Chain--New Stock--Made in the USA! 12" long 5mm wide double curb link 14K gold filled watch chain with a 1" fob drop a 12mm spring ring for your favorite fob. One long chain has a 14K gold filled watch swivel.